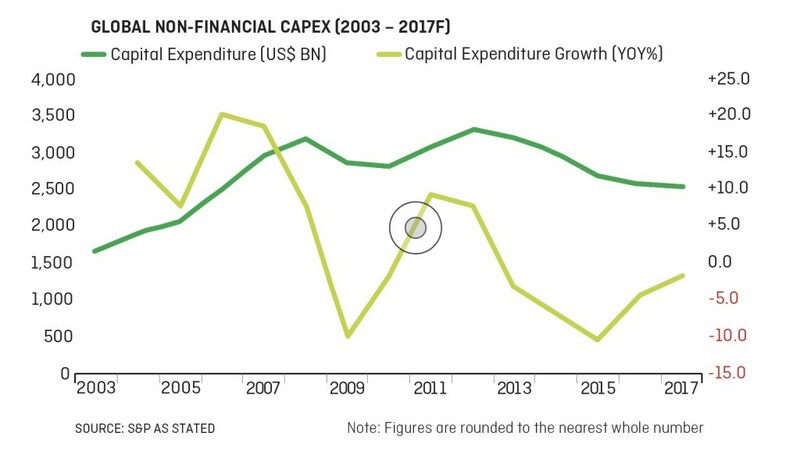 Investors have been waiting for the turn in global capital expenditure for years. There are now signs of sustained improvement for the first time in a decade. Analysis shows this is starting to filter through to better trading, increased merger and acquisition action and positive share price performance for many UK manufacturers. FTSE 250 companies such as thermal technology designers Bodycote (BOY) and Spirax-Sarco (SPX), plus Vesuvius (VSVS), which provides equipment to metal smelting foundries, have seen double-digit increases to earnings forecasts thanks to positive trading, growth inspired acquisitions and streamlined operational costs, according to Numis Securities. which supplies components to the automotive, aerospace and medical device industries, has seen its share price rise 20% thanks to firm trading at its Advanced Components arm, while polymer engineering solutions business Fenner (FENR) has jumped 44% in 2017 thanks to forecast-busting trading. Almost all such companies are also benefiting from exports, where the weakened pound is making the equipment and services they supply less expensive for overseas customers. Organisations are starting to invest in technology areas capable of widening and improving their routes to market while streamlining their own operating models. This includes things like better communications infrastructure, automation systems and robotic technologies. These investment programmes are running alongside things like healthcare, certain scientific research programmes and aerospace spending where budgets have held up better for longer. ‘A healthy 88% of companies are confident they can demonstrate the value that their capital investment projects bring to the wider business,’ states the Industrial Capital Expenditure Survey 2017 compiled by researchers at Arcadis. Improved flexibility and agility, and supplier integration and communications rank as other important measures when it comes to decision making on capital projects, the study funds. 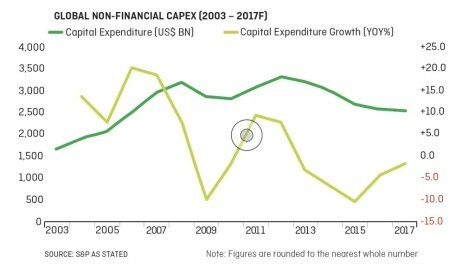 Importantly, infrastructure spending has begun to rebound from the global financial crisis and is expected to grow significantly over the coming decade. That is the main finding of Capital Project and Infrastructure Spending Outlook to 2025, an in-depth analysis of 49 countries that account for 90% of global economic output. The report was put together by researchers at Oxford Economics for business consultancy giant PwC. Hints of faster growing capital expenditure have appeared before, only to peter out. The most obvious example of this came in 2010, in response to the clampdown through the financial crisis of 2008 and 2009. Ultimately, the bounce back proved short-lived, with investment spending ebbing away through 2011 and 2012. Industry challenges that have kept a lid on business investment in the past include access to finance, rising output costs and poor return of capital for many projects. While these challenges have not gone away, stimulus has appeared to counter-balance the economic arguments. 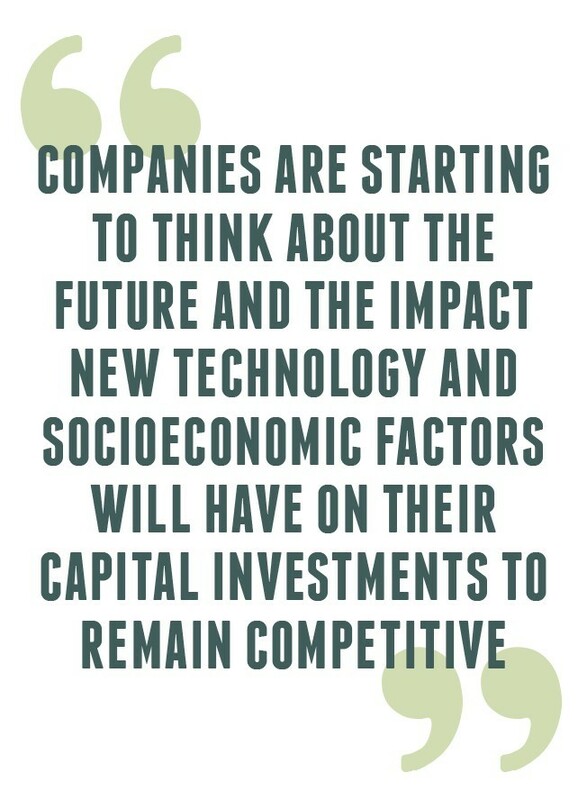 ‘Companies are starting to think about the future and the impact new technology and socioeconomic factors will have on their capital investments to remain competitive,’ explains the Arcadis report. ‘Committing effort to engaging their business partners throughout the planning, design and construction process can help manufacturers achieve an integrated value chain, where all parties are focused on getting the most innovative and competitive product to market,’ explain study authors Tjerk van der Meer, Paul Fielden and Martijn Karrenbeld.